Avoid Tear-Off & Reduce Energy Costs! Full-Scale Commercial Services - We Handle All Roof Types! Our Tribe is here to serve! 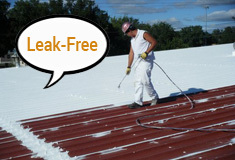 Our commercial roof coatings form a seamless, waterproof barrier over an old roof. They don't require intense tear-off or other costly actions. Plus they're ENERGY STAR® certified! Maximize your investment with commercial roof maintenance. When you need a restoration or re-roofing, our cool roofs can delay roof aging & give 30% A/C cost savings! If your roof undergoes storm damage, give us a call. Our roofing professionals excel in handling problems on residential, industrial & commercial properties. 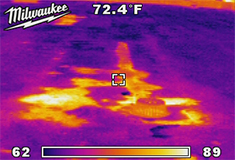 Detect leaks & hidden damage with an infrared building inspection. With this solution, we can also locate areas where air infiltration is occurring. 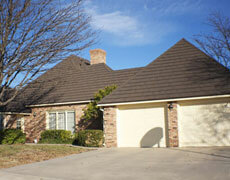 Call us for residential roofing service needs in Texas. When you need roof storm damage restoration, we’ll be there. If you’re in need of a superior residential roofing installation, we’re ready to help. Our company has 20+ years of fieldwork experience and professional knowledge. Our roofers are well-qualified to install, fix, or repair any residential roofing type. We offer efficient services for all types of roofing systems, including shingle, wood shake, tile, and metal. 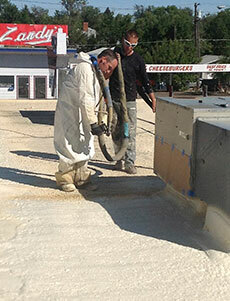 ACR Commercial Roofing has decades of experience in roofing, exterior renovation, and insurance restoration. Call us today to arrange for a residential roofing estimate! We look forward to serving you. Your commercial roof shields your facility, tenants, and colleagues from the outdoors. A durable, topside barrier will protect them and strengthen your facility’s structure. Our high-performance, energy-efficient roofing will also help keep your energy costs low. 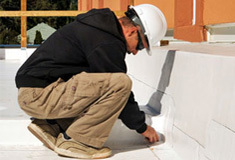 Reduce your roof’s aging from UV-ray degradation, and make your building more energy-efficient. Your roof could pay for itself in less than 7 years with energy cost savings! We offer complete commercial roofing services for all roof types: aphalt, built-up, modified bitumen, TPO, PVC, EPDM, spray foam roofing, and any liquid-applied roof. When you need installation, repair, leak detection, or replacement, give us a call. We’ll evaluate your commercial roofing needs and then fix them with the best products available! The museum would like to thank you for the excellent roofing job you did for the museum. We appreciate your successful effort in holding down the cost to fit our budget. We also thank you for cleaning up all of the roofing debris. The area was as clean as, or cleaner than before you replaced the roof.